Gloria (Mick) Francis, 90, of South Berwick, ME, passed away peacefully at Berwick Estates with her family by her side on March 28, 2019. 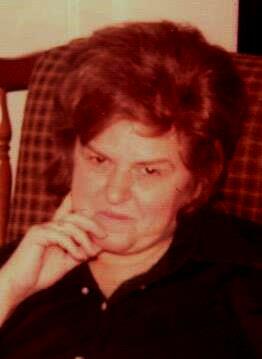 She was born April 12, 1928 in South Berwick, the daughter of Albert and Irene (Somerset) Chagnon. Gloria graduated Valedictorian of the class of 1945 from Berwick Academy. For many years, she worked at G. E. in Somersworth, NH. She also worked as a clerk in the Emergency Room in Corpus Christie, TX and retired as a clerk for the York County District Court after 17 years. Gloria is survived by her 3 children, Harvey Mick, Jr. and wife Rita of Rollinsford, NH; Patsy Cheney of South Berwick, ME, Pamela Darling and husband Brian of Newington, NH; 14 grandchildren, 28 great-grandchildren and 9 great-great grandchildren. A private memorial service will be held in the spring. Interment in New Town Cemetery, Rollinsford, NH.